In today's post I'll go over some recent changes to TM-Town that will hopefully help to improve your TM-Town experience and increase your efficiency as a translator. TM-Town's search interface is now improved thanks to some great suggestions from translator José Fonseca. TM-Town's search now incorporates a simple UI that allows you to filter your results more easily. As the number of segments and terms in your translation memory continues to grow I think these options will help you to more quickly find the exact segment or term you need. 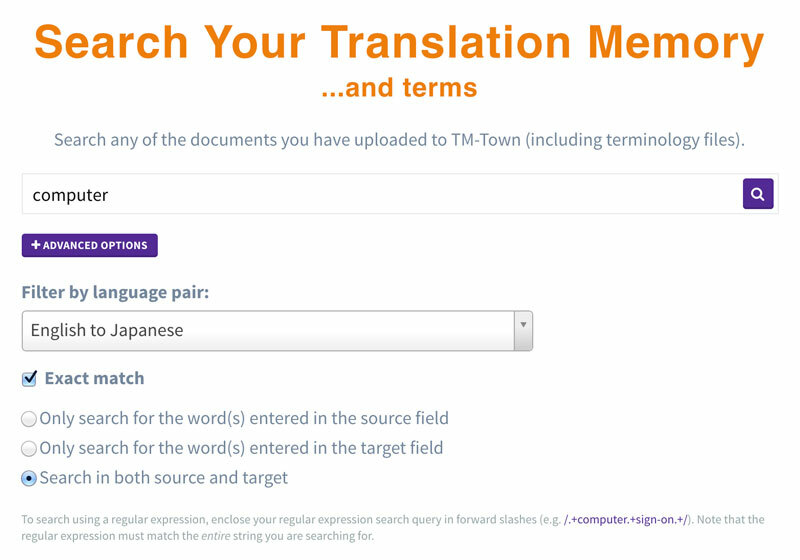 TM-Town's search feature can be accessed directly from the Search Your Translation Memory page. On TM-Town it is easy to create a new terminology glossary from terms that are automatically extracted from your document. I've added some new functionality that should help you to maintain these glossaries going forward. 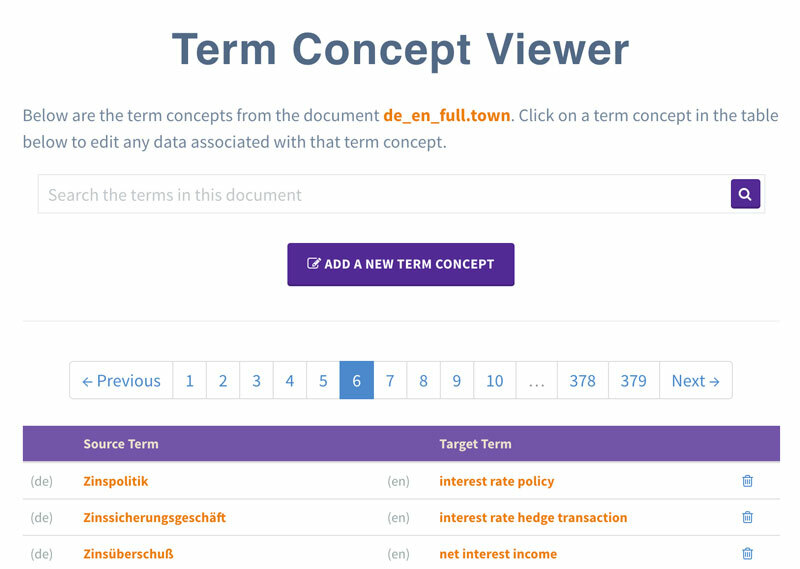 With TM-Town's new Term Concept Viewer you can easily view and update glossary entries, or even create new glossary entries. It is also simple to add pertinent data such as the part of speech, gender, etc. to a term with TM-Town's Term Concept Editor. 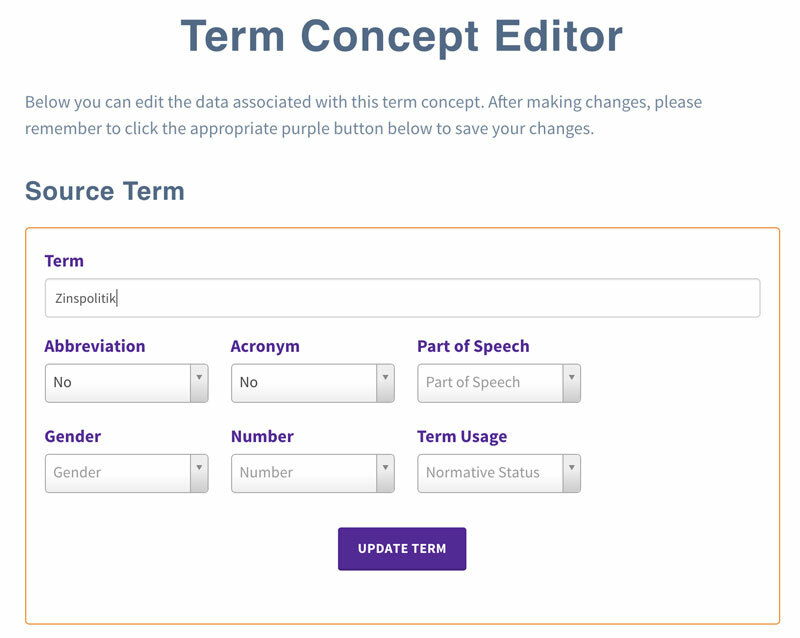 These new tools should help you to more easily create and leverage your terminology. Additionally, after putting great effort into creating and maintaining your glossaries, why not try selling them on TM-Town's Terminology Marketplace? Not yet a TM-Town member? Get started on TM-Town today - it's free.